Plants with flowers that appear in bunches include evergreen shrubs, deciduous shrubs and perennials. Deciduous plants lose leaves during the dormant seasons, evergreen plants have foliage year-round and perennial plants die back during the dormant season and then reappear each year. Flower bunches can include small blossoms that appear as one large flower, a cluster of flowers growing along a single spike or multiple flowers that can cover an area. Gladiolus flowers appear in bunches along a spiky stem. Hydrangea flowers cluster in large groups. Hydrangea macrophylla, commonly known as bogleaf, mopheads and lacecaps, are deciduous shrubs that produce bunches of small flower clusters that appear as large, showy blossoms during the summer. 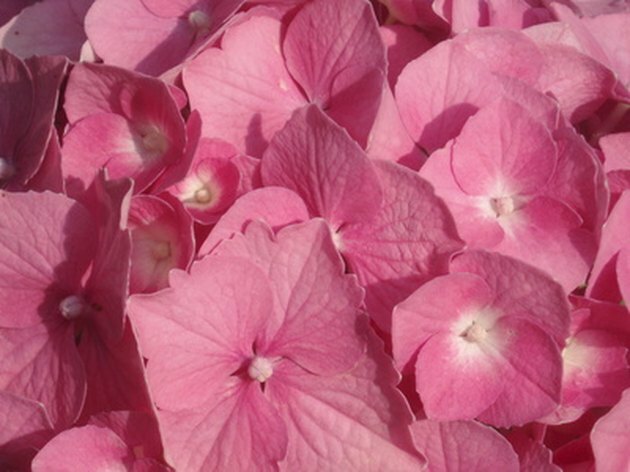 The acidity or alkalinity of the garden soil influences the color of hydrangea flowers between blue, pink or purple. Blue flowers appear when hydrangeas are planted in acidic soil with a pH lower than 5.5; purple flowers appear in neutral soils with a pH between 5.5 and 6.5 and pink flowers appear when the soil pH is 6.5 and above. Azalea flowers appear in clusters to cover the entire shrub. Azaleas are evergreen or deciduous shrub plants with flowers that appear in bunches during the spring. Available flower colors include purple, coral, red, pink and white. Flowers appear to cover azalea bushes when the plant is in full bloom. 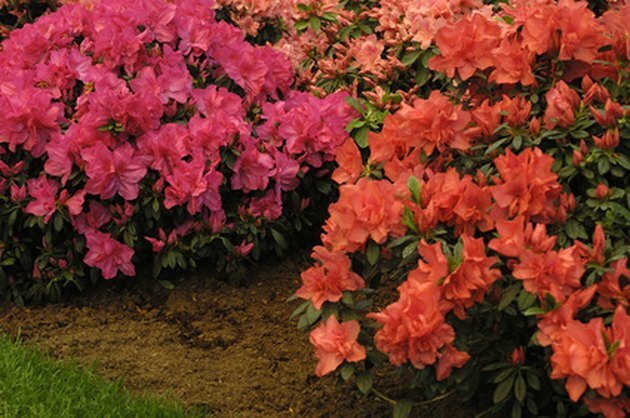 Plant azalea bushes in areas with filtered sunlight or partial shade in soils with pH levels between 4.5 and 6.0. Azaleas are hardy in Zones 5 through 11. Butterfly bush flowers appear in bunches. 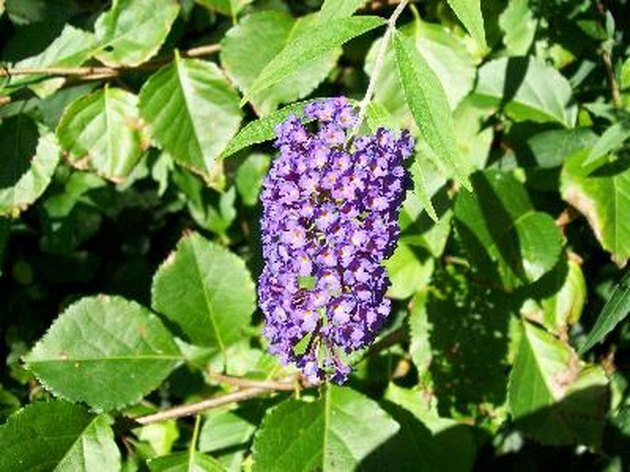 Butterfly bushes are deciduous plants with bunches of small flowers grouped in the shape of a bottle brush. Hardy in Zones 5 and above, butterfly bushes offer flowers in shades of red, pink, yellow, blue, purple and peach. The spiky flower clusters are magnets for butterflies and hummingbirds in your garden. Butterfly bushes grow best in full sun. Delphiniums produce flower clusters along a tall spire. Delphiniums are perennial plants with spikes of tall flowers that appear in bunches during the late spring and early summer. 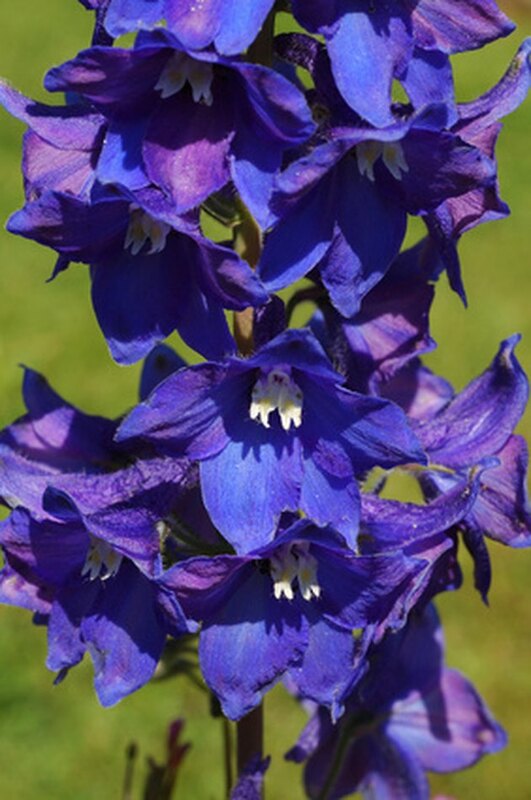 Some delphinium cultivars have flower spikes of up to 6 feet. Flower colors include blue, purple, white, lilac, red pink and yellow. Hardy in Zones 3 through 7, delphiniums grow best in areas with full sun to partial shade. 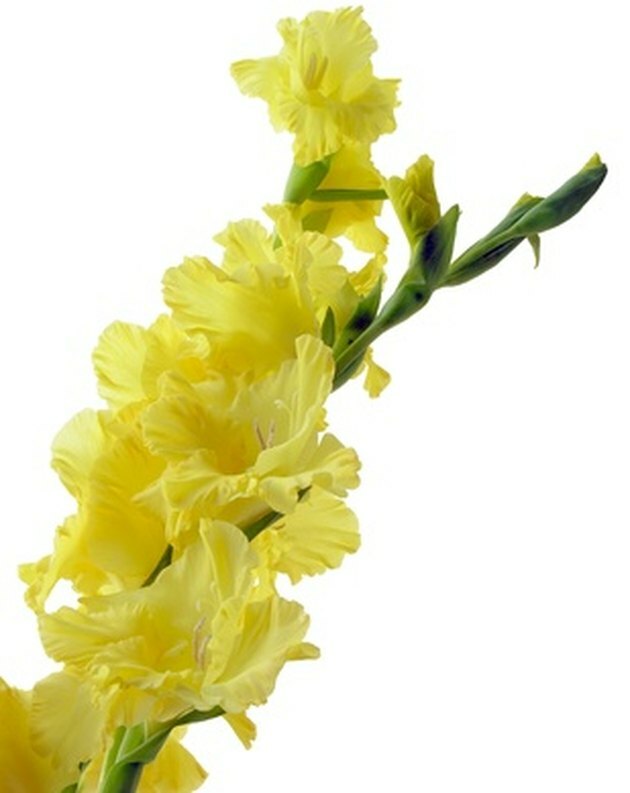 Gladioli are available in a variety of colors. 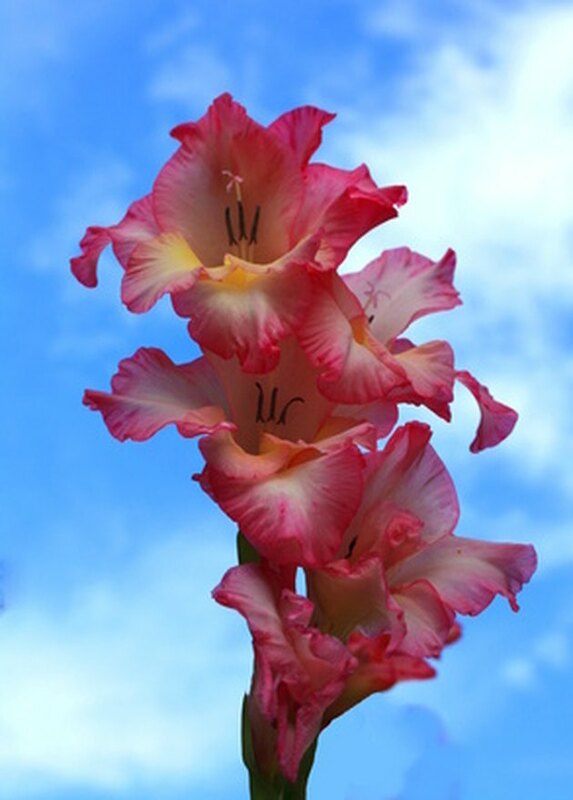 Gladioli are perennial plants that produce clustered spires of flower blossoms during the summer months. Flower spire bunches can grow up to 6 feet tall in areas of your garden that receive full sun. Color varieties include red, orange, blue, gold, pink and multicolored clusters. Hardy in Zones 6 through 10, gladiolus plants grow from corms. Remove and store corms during the winter if you live in Zone 6 and 7. Plant gladioli in areas that offer wind protection, such as a fence line or a garden wall.